Don’t break up. Fix the problem. Start the romance again. Go on dates again. Work on winning each other over again. This is why there are so many failed relationship. 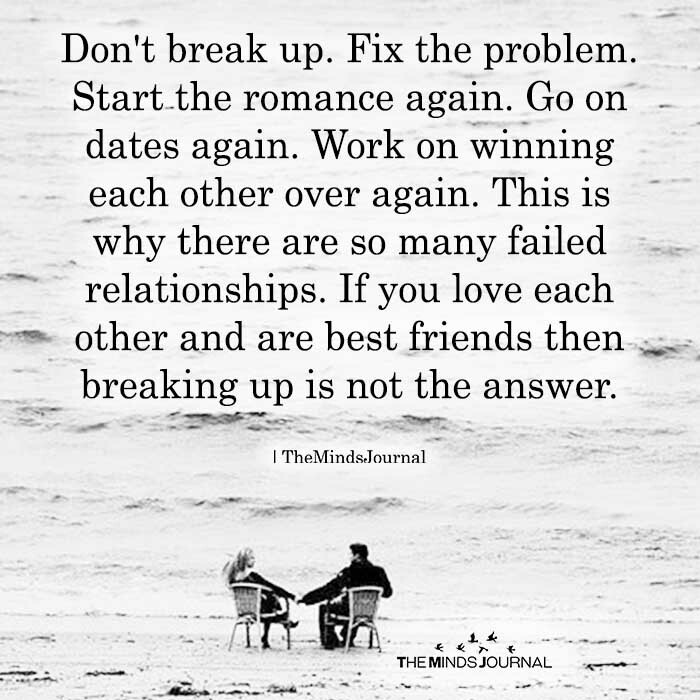 If you love each other and are best friends then breaking up is not the answer. Love is not enough. Trust is another thing. When the Trust is gone, you will not be able to love that person once you did. Sometimes things cannot be fixed. And it’s better to choose for your own Happiness and be friends. No one is interested in Break Up but due to less understanding people are helpless to handle the situation and problem start. True.But people can only try so much .